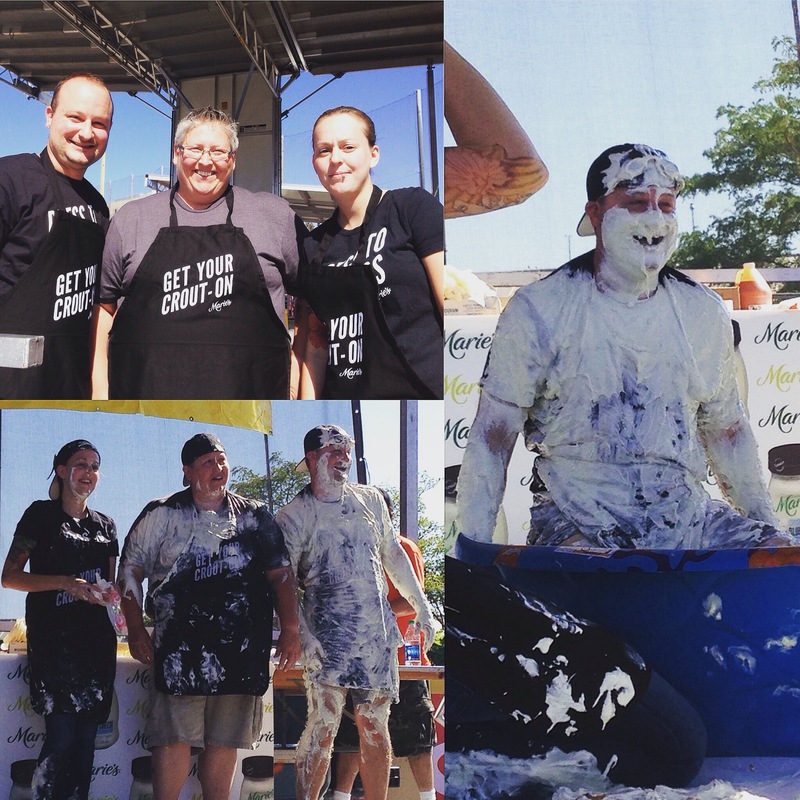 The 2016 National Buffalo Wing Festival drew over 70, 000 people! Each year, people travel to Buffalo from all around the world for this food festival. 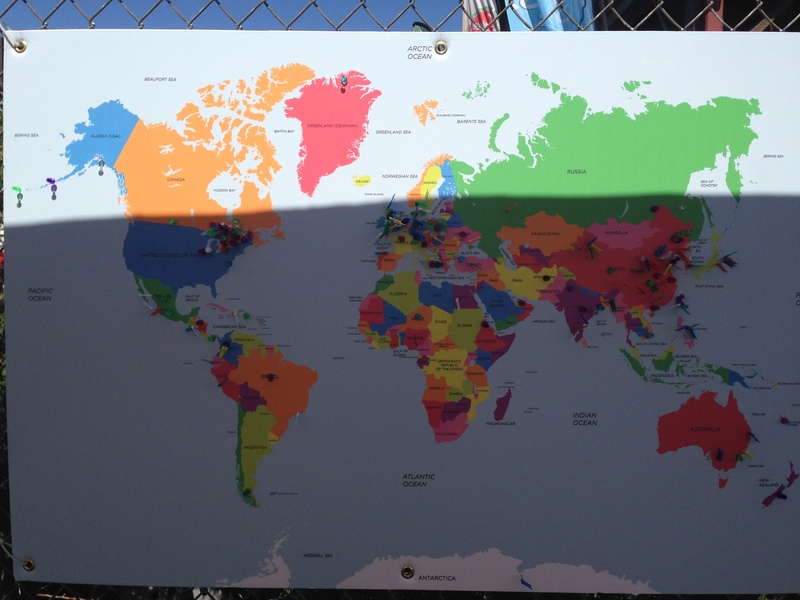 In 2016, the festival had their first attendees from Antarctica! It is truly a food festival that is worth attending. I had the best time! Not only will you sample the best chicken wing sauces in the world, you will also watch some of the best and most unique, internationally known, live entertainment. These were some of my favourite moments. To start, the venue alone will excite sports fans, as the festival takes place on the actual baseball field at the Coca-Cola Field stadium. 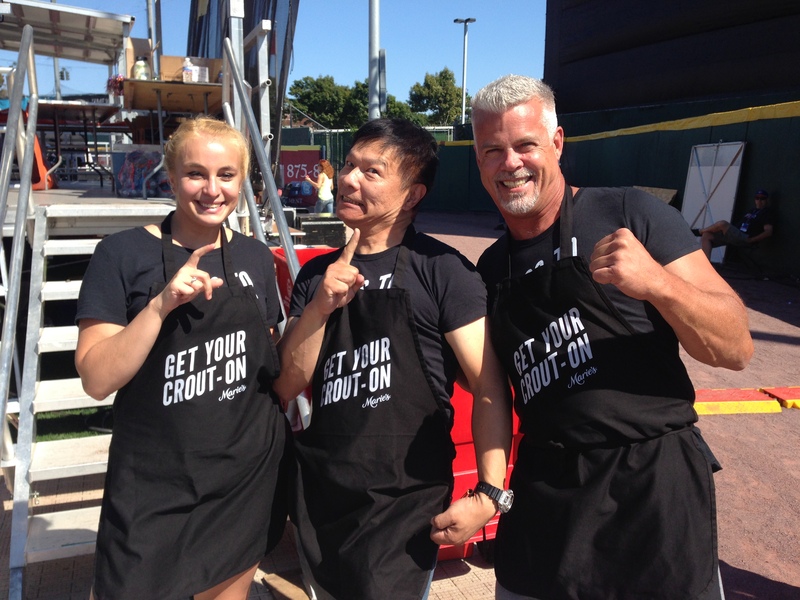 It was an awesome experience eating chicken wings between second and third base. The wing festival hosts several competitions that are hilaroius and exciting to watch. 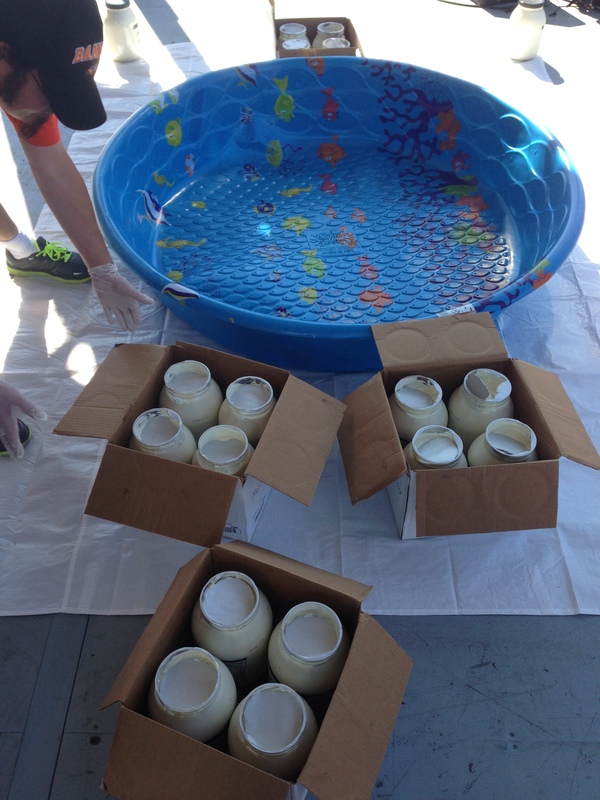 In 2016, there were two bobbing for wings competitions. Contestants wear goggles, put their hands behind their backs, and get down on their knees to bob for buffalo wings from a pool of blue cheese sauce. The grand prize is, of course, blue cheese sauce. Last year’s champion flew in from Japan to defend his title (successfully). See Cooking with Alison’s facebook page for short video clips of the competition. 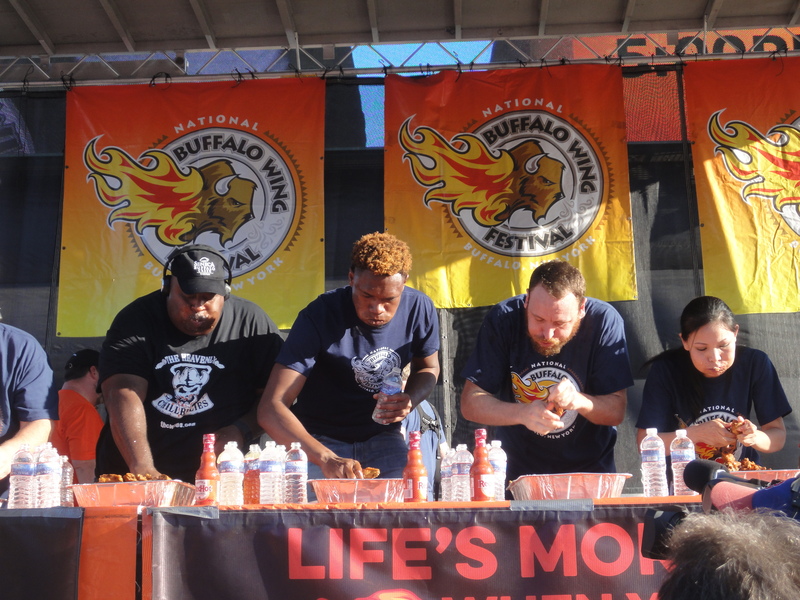 In 2016, Major League Eating ran two events at the National Buffalo Wing Festival: The Buffalo Buffet Competitive Eating Contest (where contestants ate 5 pounds of Buffalo-themed food items that were available at the food festival) and – the main event – the United States Eating Championship (where contestants ate buffalo wings). 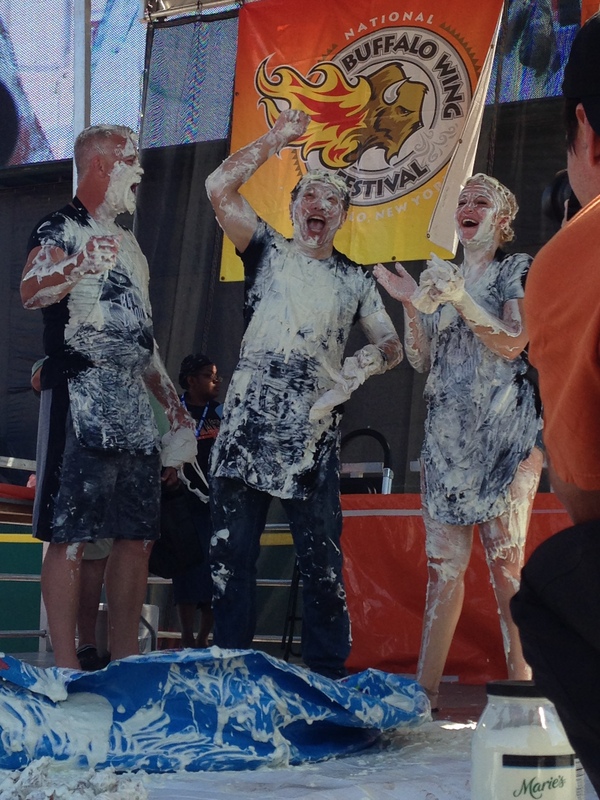 This was my first time watching professional competitive eaters compete live. 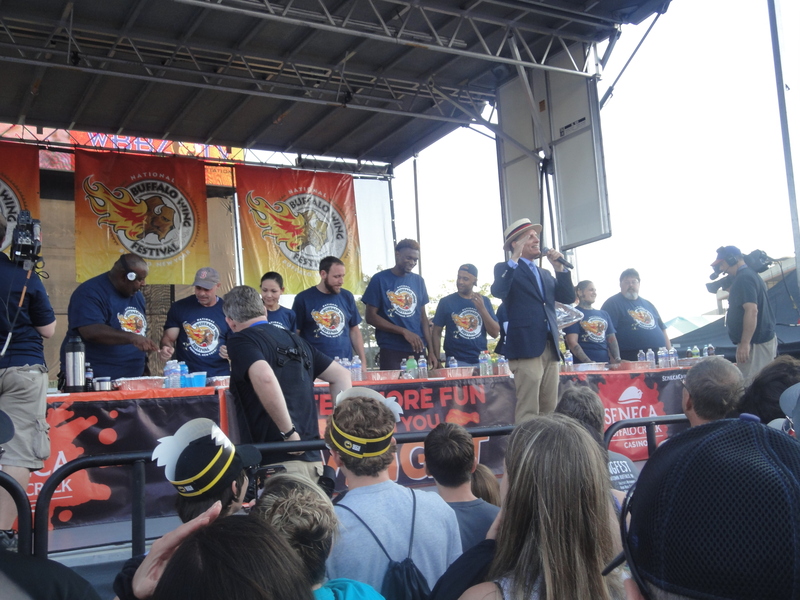 I have to tell you, competitive eating is a type of event that must be seen live. You get to see how they prepare their stations differently, you get a better feel for their personalities, you notice their unique strategies, and you feel the excitement and energy from the crowd. The Buffalo Buffet Competitive Eating Contest was very surprising when Geoffrey Esper (a buffed teacher that’s relatively new to competitive eating) took 1st place and Gideon Oji (who is 6’9″ and also in great physical shape) took 2nd place – both beating Joey “Jaws” Chestnut who placed 3rd. But, as some predicted, Joey “Jaws” Chestnut came back with a vengeance the next day. 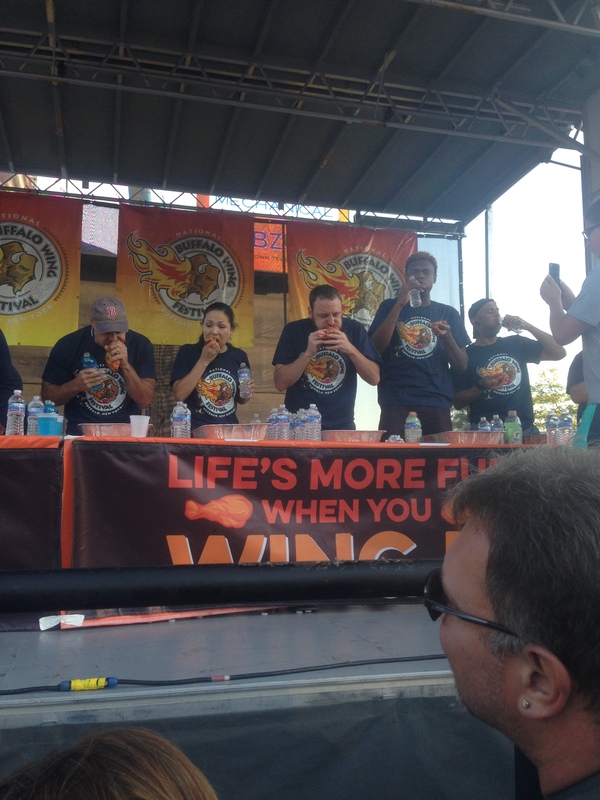 For the United States Eating Championship, Joey “Jaws” Chestnut won first place by eating an insane 188 chicken wings! Gideon Oji placed second with 177 wings and Geoffrey Esper won third with 162 wings. Yasir Salem (an ultra endurance athlete) placed 4th, Sonya “The Black Widow” Thomas (a tiny statured competitive eating-veteran with 39 world records) placed 5th, and Eric “Badlands” Booker (another record holding, competitive eating-veteran that is also a hip-hop artist) placed 6th. See Cooking with Alison’s facebook page for short video clips of the competition. I was lucky enough to meet some of the competitive eaters: Eric “Badlands” Booker, Gideon Oji, Mary Bowers, and Daniella Gioia. Eric “Badlands” Booker was the nicest guy ever (I can see why he has so many dedicated fans), Gideon Oji was fun and has great energy, Mary Bowers is creative and has a really fun fashion style, and Daniella Gioia was sweet and soft spoken. I love how incredibly different all of the professional competitive eaters are: from their personalities to their body types and strategies. For example, Eric “Badlands” Booker listens to fast paced music while he competes, whereas Yasir Salem listens to a second by second countdown. The other competitors didn’t listen to anything while they ate. I am fascinated with competitive eating right now! The aftermath. 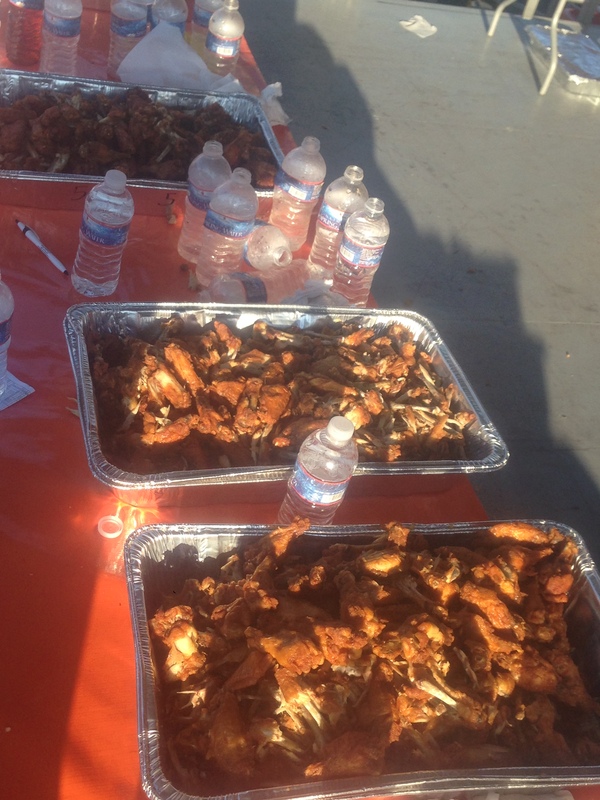 This is what wings look like after professional competitive eaters are done with them. Other than watching internationally acclaimed professional competitive eaters do their thing, the MC and Major League Eating announcer, George Shea, was very entertaining. His act was funny, unexpected, varied, and full of energy. 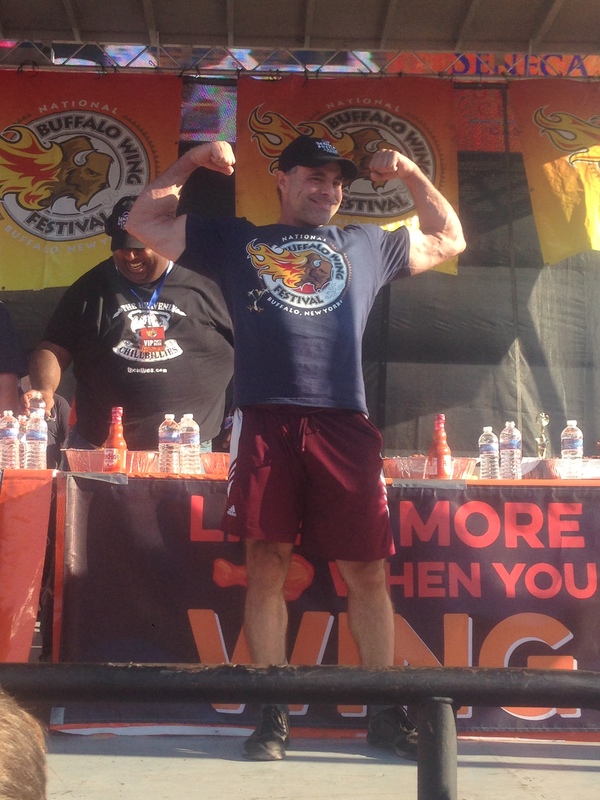 Finally, if you go to the National Buffalo Wing Festival, you’re sure to see Drew Cerza, Buffalo’s Wing King. He is the one responsible for bringing us my new favourite food festival and he beat Bobby Flay in a chicken wing show down on the Food Network. He is very well-loved by Buffalo and was very welcoming to me.